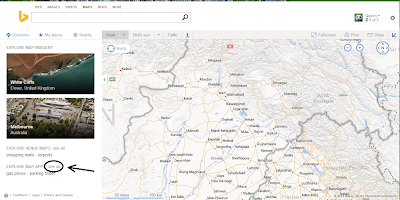 How To Display Tweets on Bing Maps? Maps are a cool way to find places. But you know what's cooler? Finding people on a map, and looking at what they're doing! Yep, that's right! With the power of Twitter and Microsoft's Bing Maps combined, you can view and embed maps with Tweets that are relevant to your business! For example, hotels can highlight tweets from people enjoying recreational places nearby, or event planners can help attendees connect with each other and highlight nearby gatherings and meetups. With maps on your website showing Twitter activity in real time, you can engage with your audience on a whole new level. Let's take a look at how to embed Bing™ Twitter map to your blog, website or social media network! Recommended for you: How To Embed Bing Maps on your Blog? What are Bing™ Twitter Maps? Twitter Maps is a map application for Microsoft's Bing Maps that determines the location of Tweets, and broadcasts them onto a map in real-time. This allows people observing the map to see the latest Tweets, and their location. The observer can then refine their search, so that only relevant Tweets show up. This can be valuable be many instances. For example, an event-goer can search with a search term related to that event, or a hashtag to see where other event-goers are staying, or gathering, or coming from. This could also help tourists find nearby amusement parks, restaurants, museums and so on. Businesses can make use of these features to engage their audience by adding Bing™ Twitter maps to their website. This makes it easy for tourists staying at a hotel, for instance, to find nearby recreational spots by simply going to the hotel's website, and looking over at the relevant tweets from other tourists. How to embed Bing™ Twitter maps on a website? If you are a website owner, you can use the Bing™ Twitter maps to engage with your audience on another level. Just follow the steps given below to embed Bing™ Twitter maps to your website. Go to the Bing Maps website, and open up a location on the map. Zero in on a location of your choice, and then look for Map Apps. Search for Twitter in the map apps, and then click on the Bing Twitter App. You should now see some Tweets in the stream on the left sidebar. Corresponding locations will be shown on the map. You can now refine your search to include tweets from certain locations, or certain people, or by keywords etc. Click on the Search tab in the left sidebar, and then place filters as you like. Look for the Embed on your website button on the bottom of the left sidebar. You can select map style (fixed or draggable), and choose map dimensions. The code will be automatically generated. You can easily add this code to the source of your web page (website source code files, blog post editor etc). See below for a demonstration of an embedded Bing Twitter Map for an area in Pakistan. Remember, you need Microsoft Silverlight to run the map app, so if running into any problem, try updating your Silverlight plugin first.